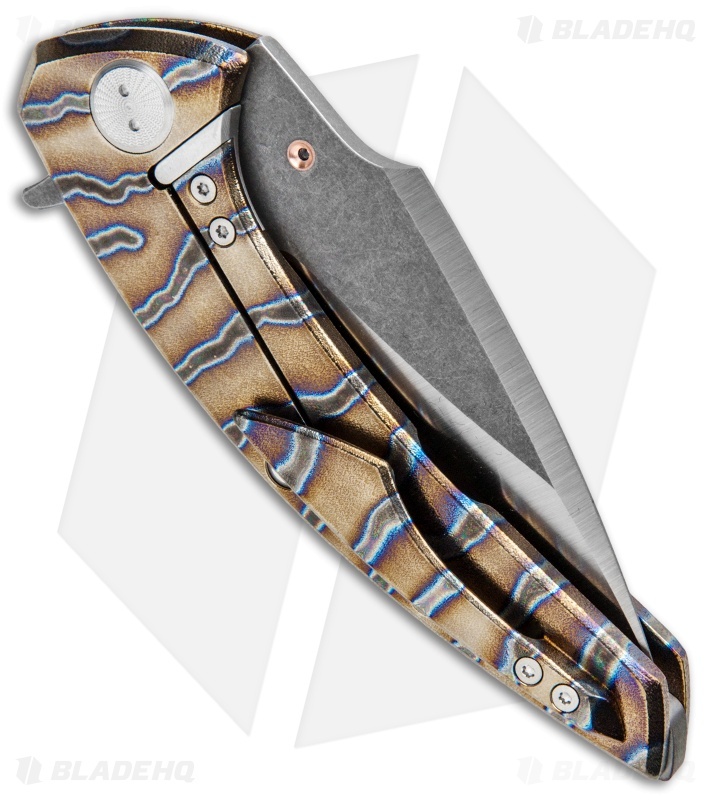 This Model Obj.113 Flipper from Sergey Rogovets is a grail worthy handmade knife with all of the tactical functionality you would expect from a Rogovets knife. 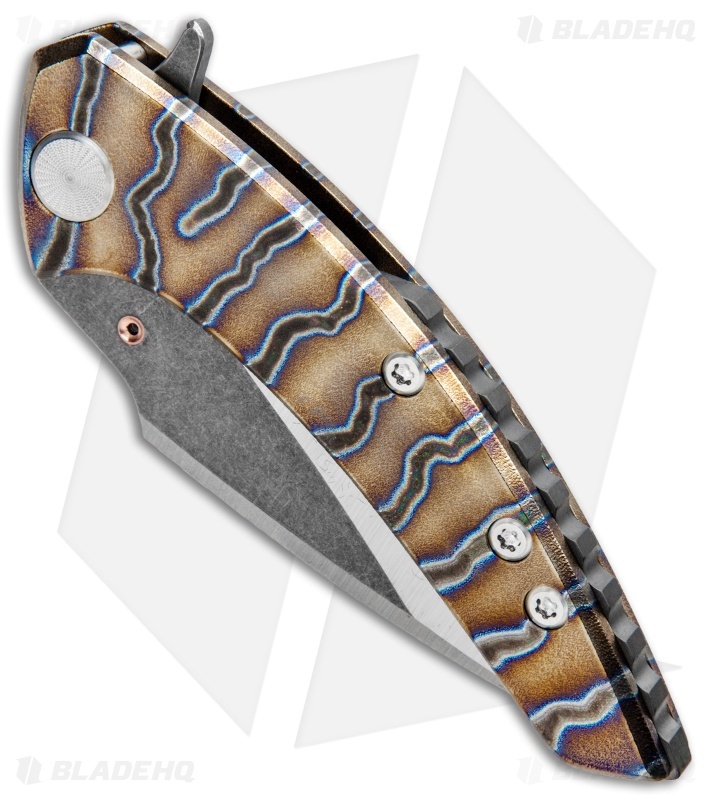 It has a two-tone finished CTS-XHP steel blade with satin polished grinds and acid stonewashed flats. The custom flamed titanium handle has on orange peel finish, a milled pocket clip, and a titanium backspacer. 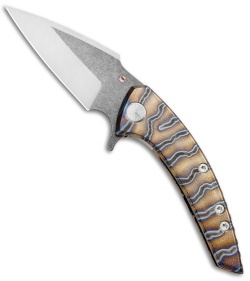 This knife includes caged ball bearings, and a steel lock bar insert. 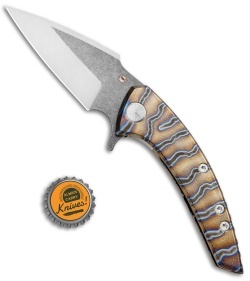 The knife is marked on the inside flat of the backspacer with a serial number and maker signature. 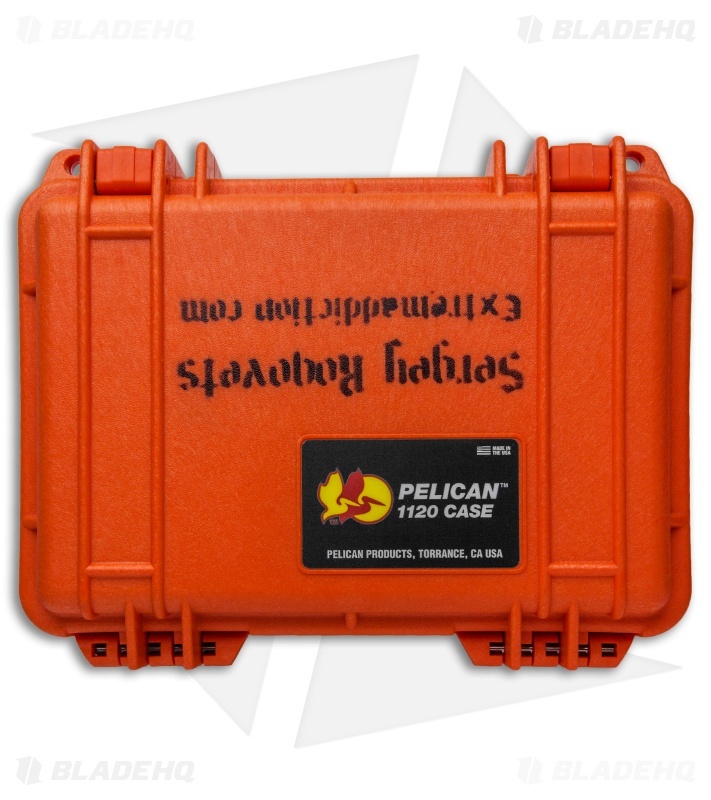 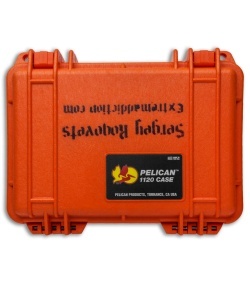 Item includes a tough pelican storage case and a certificate of authenticity. Sergey Rogovets knives are high-quality, low-volume production pieces. All of his knives are hand crafted without the use of CNC or waterjet machines. Everything is done in his shop and he stands behind his product with a warranty against defects.